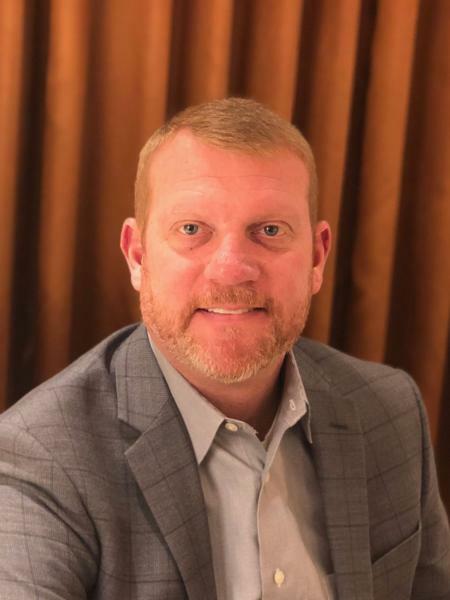 Brandon Hutchison has been promoted to the role of Executive Vice President and General Manager of Atlanta Motor Speedway, Track President Ed Clark announced today. With the promotion, Hutchison will oversee the day-to-day operations of Atlanta Motor Speedway and all track events. While Hutchison will manage the daily operations of the track, Clark will remain as the facility's President. "Brandon has been involved in all aspects of the Speedway's operation over the past 24 years providing him valuable experience that has prepared him for this next step in his career," said Clark. "I am extremely proud of his growth at Atlanta Motor Speedway and he has proven himself as the absolute right person to take on the added responsibility of running the Speedway." Clark will assist in the transition while continuing to work on long range opportunities for Atlanta Motor Speedway and Speedway Motorsports Inc.
"With more than 42 years of experience in NASCAR and 26 years in Atlanta, Ed will play an important role in the strategic positioning of Atlanta Motor Speedway," said Speedway Motorsports Inc. CEO Marcus Smith. "While Brandon's experience has uniquely positioned him to be successful leading the day-to-day operations of the Speedway." Hutchison joined Atlanta Motor Speedway as a Public Relations intern in March of 1995 and was hired as a Track Rental Coordinator by the Speedway four months later. He served as the Director of Events and the Vice President of Events before he was promoted to Assistant General Manager in September of 2014. A native of Georgia, Hutchison grew up in Lawrenceville. He graduated in 1995 with a BS in Communications Arts from Georgia Southern University. "It's been a long journey to get to this point," said Hutchison. "I'm extremely thankful for the opportunity and challenges that lie ahead. We have a great team here at Atlanta Motor Speedway and I know we will continue to build on the successes achieved over the history of the track." Opened in 1960, Atlanta Motor Speedway's 1.54 mile oval is one of NASCAR's original Super Speedways. Marquee events at the speedway include the Folds of Honor QuikTrip 500 NASCAR Weekend in February, The Summit Racing Equipment Atlanta Motorama in April and Thursday Thunder presented by Papa John's Pizza and The O'Reilly Auto Parts Friday Night Drags short track summer racing series. In addition, the track boasts more than 200 event days through the year. Atlanta Motor Speedway's next major event is the Feb. 22-24, Folds of Honor QuikTrip 500 NASCAR Race Weekend. The Weekend features Monster Energy NASCAR Cup Series qualifying on Friday, Feb. 22, the NASCAR XFINITY Series Rinnai 250 and NASCAR Gander Mountain Truck Series 200-mile race doubleheader on Saturday, Feb. 23, and culminates with the Folds of Honor QuikTrip 500 Monster Energy NASCAR Cup Series race on Sunday, Feb. 24.